Researchers warn against a particular strain of E-coli bacteria found in Chinese farms and patients that is proving to be resistant to a particular group of veterinary antibiotics called polymyxins. This group of antibiotics is considered to be the last line of defense against food-borne bacteria such as E-coli and salmonella, and its overuse has created a polymyxin-resistant bacteria strain according to a report released in November 2015 in The Lancet Infectious Diseases. 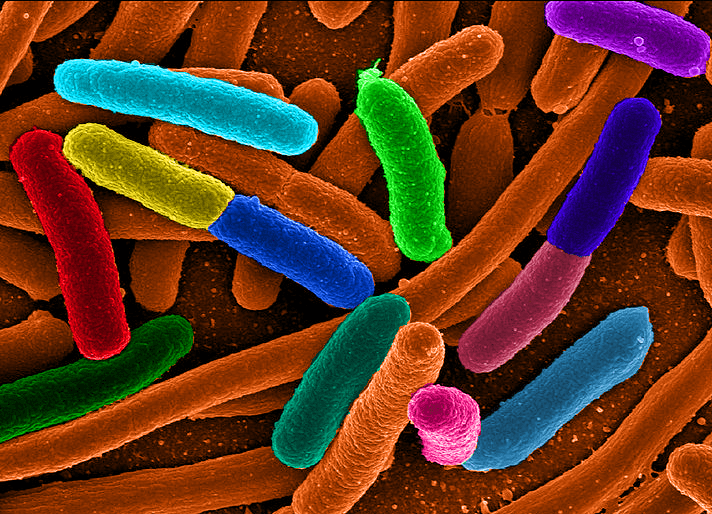 Scientists in the United States, China, and the United Kingdom discovered that the E-coli bacteria strain, SHP45, carries a new gene: the first plasmid-mediated polymyxin resistance mechanism, MCR-1, which renders SHP45 resistant to polymyxin drugs. Colistin is one of the family of polymyxins used widely as antibiotics for farm animals in China, and a routine surveillance project on antimicrobial resistance in commensal E-coli from Chinese food animals revealed a major increase in colistin resistance. According to Professor Timothy Walsh of Cardiff University, the emergence of the MCR-1 gene in China heralds a disturbing breach of the last group of antibiotics and the rapid spread of similar antibiotic-resistant genes suggests that all antibiotics will soon be futile in the face of previously-treatable gram-negative bacterial infections such as E-coli and salmonella. But rather strangely, as noted by the Lancet report, the WHO did not list colistin-resistant bacteria as one of the “bacteria of international concern” in 2014 even though they had included it in 2012. Certainly a globally-coordinated approach to combat colistin resistance is required as the effect on human health posed by this new gene may be a major one. International politics at work? GBV is not turning into a medical journal, mind you, but we believe that some health issues are serious enough to be mentioned. The global spread of antibiotic-resistant bacteria may represent a group of emerging threats that have the potential to turn into a full-fledged health crisis on the lines of SARS or Ebola; and/or they may prove to be a breaking point where a health issue become a life-or-death problem because the sickness is deadly and has no cure. In insurance-speak, this matter apparently has the potential to turn what would otherwise be a morbidity subject into a mortality issue. Life insurers and risk managers may want to keep an eye on it. At the same time, neither the CDC not the WHO seem to be extremely anxious, so maybe this instance of resistance to antibiotics here is not yet the BIG ONE.